August 12-18 is National Health Center Week in the United States, designated and promoted by the National Association of Community Health Centers. At Swope Health Services, we start the celebration early and keep it going all week! 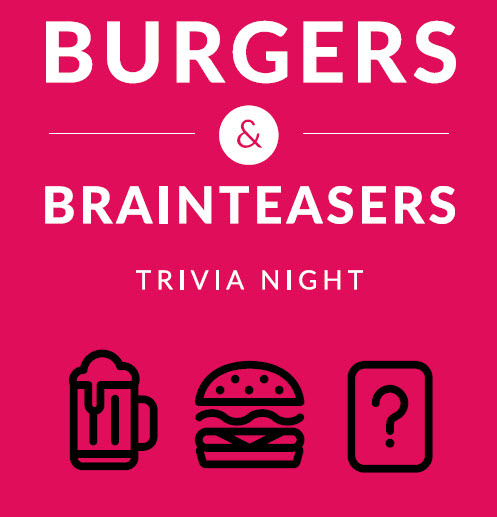 Join us for our annual Burgers & Brainteasers Trivia Night, 6:30 to 9 p.m., Friday, August 10 at the Westport Flea Market Bar and Grill. Doors open at 6 p.m. at the event, 817 Westport Road in Kansas City. Your $25 ticket includes all-you-can-eat burgers, plus drink specials and trivia. Order your tickets in advance. Proceeds from the event support the SHS Patients in Need Fund, supplying medicine, eyeglasses and other items to patients who otherwise would do without. During the week, August 13-17, we pause and thank the “Healthcare Heroes” in our midst. With help from our sponsors, we offer healthy snack bags to our clients and treats to our associates, too. Our associates have the opportunity to recognize colleagues who deliver exceptional service as “Healthcare Heroes” in any capacity. Winners will be treated to the August 17 T-Bones game. Dr. Rex Archer, Director of Health for the City of Kansas City, Missouri. Andrea Buford, Director of Clinical Operations for Swope Health Services Behavioral Health Department. Vince Ortega is the executive director of COMBAT, the Jackson County organization funded by the Community Backed Anti-Crime Tax that focuses on addressing substance abuse and drug-related crime. Dr. Rachel Winograd is a Research Assistant Professor at the Missouri Institute of Mental Health (MIMH) – University of Missouri St. Louis (UMSL). 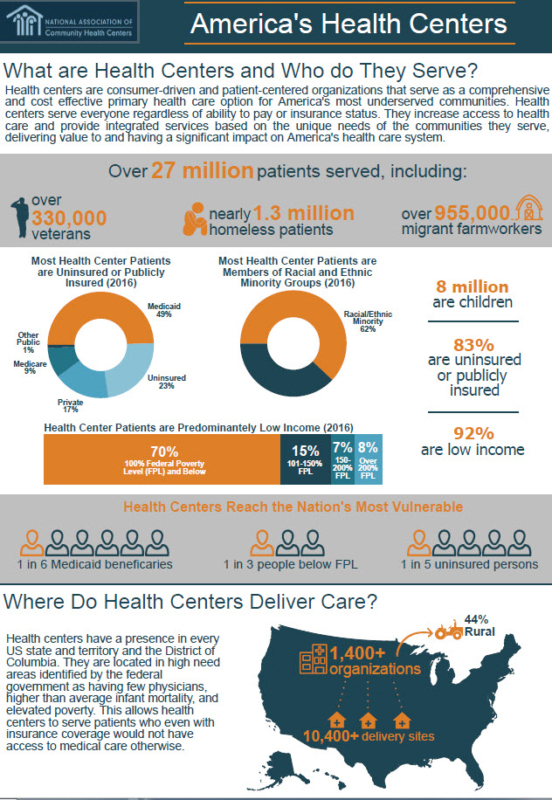 Click this image for a detailed infographic on Community Health Centers. Purchase tickets online by August 10, 2018. Tickets will NOT be available at the venue. Behind this national celebration is a long record of success in the delivery of high quality, cost-effective, and accessible care. We are proud to recognize our community-based model of care and creating public awareness of the many services we offer, especially to medically underserved segments of the community. A large majority – 83 percent of patients – are uninsured or insured by Medicare or Medicaid. More than 90 percent of patients nationally served by Community Health Centers are low income. Nationally, Community Health Centers play a vital role in creating cost savings and promoting economic growth. Community Health Centers are responsible for generating $45 billion in economic activity, and saving $24 billion to the entire health care system. That’s because Community Health Centers have 24 percent lower spending than other primary care providers for Medicaid patients. All reasons worth a celebration. We hope you’ll join us.